Combi Boiler Efficiency is of the utmost importance, even more so these days when energy bills are sky high, and global warming is a big threat (even if Donald Trump doesn’t think so). Even if you don’t care about the planet or Polar Bears, everyone wants to save money on energy bills. With an A-rated condensing combi boiler efficiency of 90% to 92% and above (98% to 100% efficiency on models like Viessmann 200-W), you can save between £300 to £400 on your energy bills per annum. Is Combi Boiler Efficiency Really Important? 55% of what you spend in a year on energy bills is spent on heating. According to the Energy Saving Trust: “Heating accounts for about 55% of what you spend in a year on energy bills, so an efficient boiler makes a big difference.” The biggest reason for modern combi boiler efficiency in 2018 is down to condensing boiler technology. 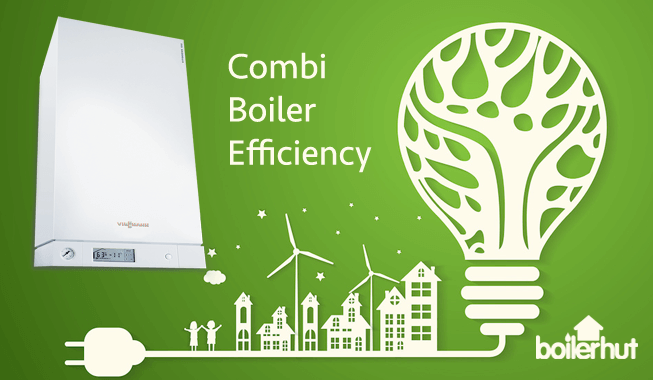 How is Combi Boiler Efficiency Calculated? 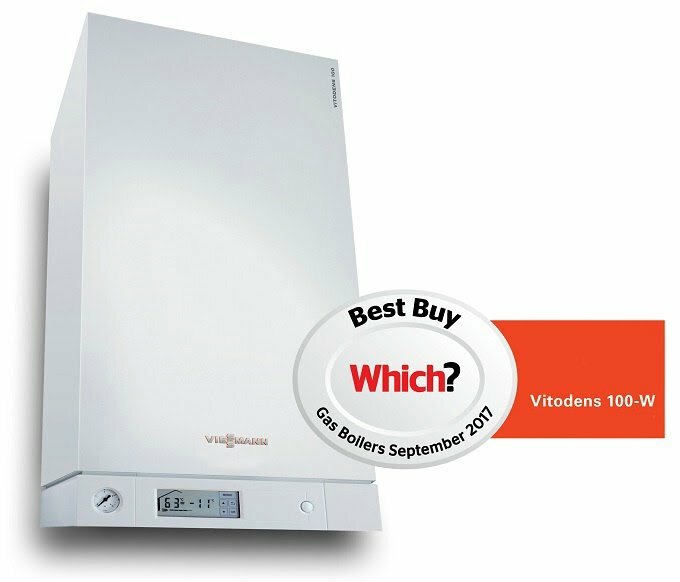 SEDBUK 2005 – Rates boiler efficiency from A to G. A-rated boilers are above 90% efficient. SEDBUK 2009 – This is a newer system which shows combi boiler efficiency as a percentage instead of letters. All new boilers should be rated using Sedbuk 2009, but you may still see older models which were tested under the old Sebuk 2005 system. 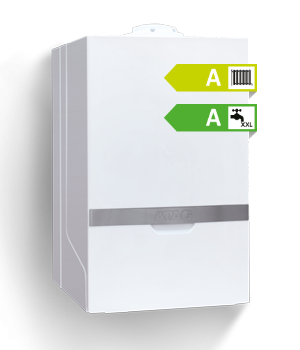 A combi boiler which was A-rated 90% under SEDBUK 2005 will be 88% under the new SEDBUK 2009. The difference is mainly down to differences in efficiencies between using a boiler to heat a home in the winter months, and only using it for heating water in the summer. Boiler manufacturers display SEDBUK 2005 rating on their website and manuals because it gives them a higher figure for combi boiler efficiency. Is Your Old Boiler Wasting Fuel and Your Hard Earned Money? If your existing boiler is older than 12 years, chances are it may be a non-condensing boiler. Non-condensing boilers waste the water vapour in exhaust gases that exit the flue, so they start out at pretty low energy efficiency around 70% to 80% compared to on average above 90% for condensing combi boilers. Over time due to corrosion on internal components, frequent boiler breakdown and constant repairs, the non-condensing combi boiler efficiency can even drop to below 60%, in some cases close to 50%. In monetary terms, that means for every £100 you’re spending on heating, you’re losing £40 to maybe even £50. Over months and years you are bleeding money. Can a Condensing Boiler Help Save You Money? Condensing technology achieves high combi boiler efficiency by condensing water vapours and recovering the latent heat of vaporisation. The condensed vapour then leaves the boiler or central heating system in liquid form through a condensate pipe into a water drain. A modern condensing boiler has a much larger heat exchanger aimed at better heat recovery. It sends cooler gases up the flue. The best internal components of a boiler, especially the top of the line heat exchangers cool flue gases to such an extent that it starts condensing the water vapour in the exhaust gases, making sure the boiler keeps condensing, and keeps saving energy. What Else Can Modern Condensing Combi Boilers Do? Unlike older non-condensing boilers which use energy all the time, modern condensing boilers modulate energy usage when not needed. 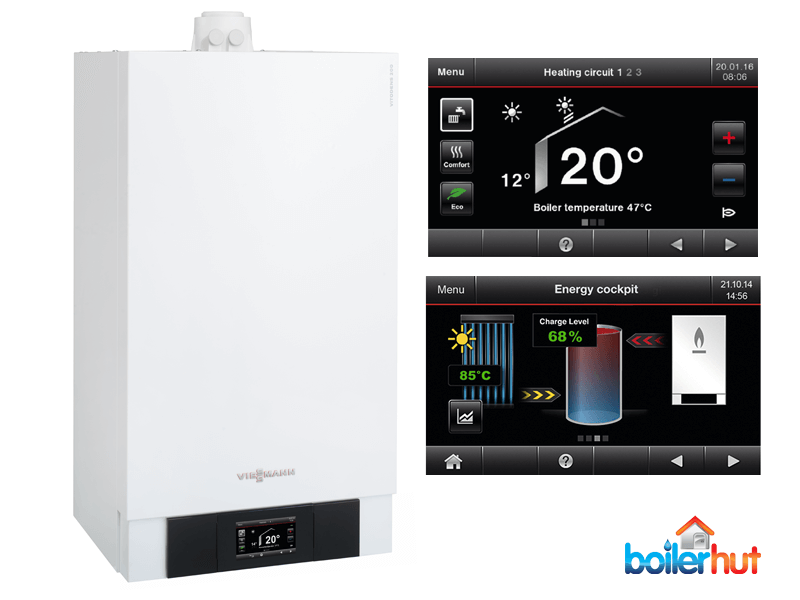 Viessmann’s Vitodens range for example, modulates between 5kw and 30kw depending on heating and hot water demand. This saves you further money on energy bills. 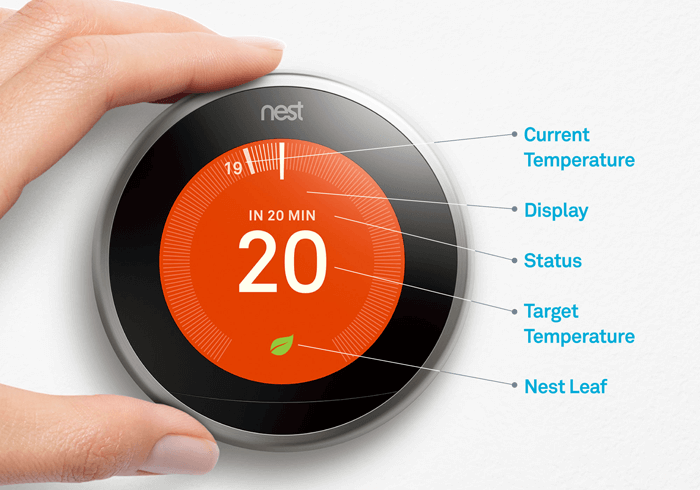 Gadgets that work like a treat to achieve combi boiler efficiency are learning thermostats like Nest (pictured above). This learns from your behavior, times when you leave the house, when you come back etc. It also triangulates your position through a couple of nearby weather stations to maintain temperatures inside your house automatically. You can also adjust temperatures or switch your heating on and off via their smartphone app. With programmable thermostats like EPH or Hive or Honeywell, you can program your boiler to only work at set times. So for ex; if you work 9-5 pm, you can program your hot water to switch off and heating to be turned down at 8:45 am and come back on at about 4:45 pm. This works even better with modern, condensing boilers because of the efficiency measures we mentioned previously in this post. One of the reasons why premium combi boilers like the Vitodens 200-W can achieve 98% or even above 100% efficiency with the help of weather compensation, smart controls, air recycling etc. by condensing constantly. As it goes with everything in life, you get what you pay for. The highest efficiency boilers may also be the most expensive. But what you get is great ROI (return on investment) because the high energy efficiency along with high quality internal components mean the boiler will save you huge amounts of money on your energy bills over the long term. Below is a list of highest efficiency boilers available in the UK market. Please note, efficiency figures quoted below are the final figure using smart or programmable thermostats and things like weather compensation. SEDBUK efficiency and ErP efficiency may differ. This is top of the line. 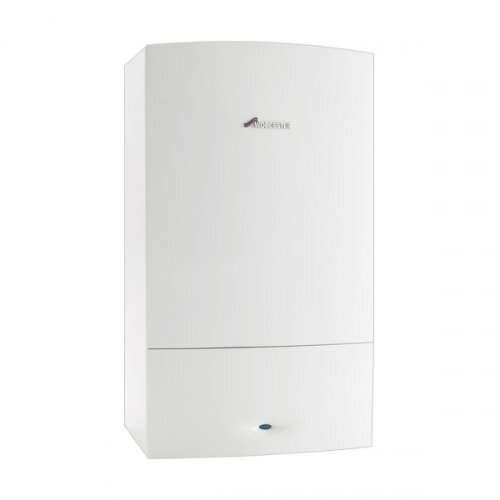 It is by far the most powerful and premium domestic combi boiler in the UK market, and probably in the world. In terms of combi boiler efficiency, this is the Rolls Royce of boilers. It sits at the very edge between commercial and domestic boilers. It leaves the competition in the dust at a whopping 98%, maybe even over 100% with weather compensation, smart controls, and by recycling outside air, by condensing constantly. Compared to this, most of its rivals are hovering around 89% and 92%. That type of combi boiler efficiency + high quality internal components and controls means it also costs more than other boilers. However, the customers for whom we have installed this boiler, couldn’t be happier and sing endless praises of the 200-w.
Up to 98% of the fuel used is converted into heat. Patented Inox-Radial Stainless Steel Heat Exchanger. Compact dimensions – 450 mm wide. Vitotronic control unit with 5 inch colour touchscreen. Control via app and internet (with optional Vitoconnect 100 WLAN adaptor). Environmentally responsible MatriX cylinder burner. This is a solid product that can get up to 94% combi boiler efficiency with weather compensation and smart controls. This has CFS (Combined Flue System) and combined condensate & PRV, which makes it easier to site the boiler, and saves time in installation. It also has in-built shock arresters to avoid problems like water hammer. Quiet operation – low fan speed. Available in outputs from 4.7 to 35 kW. High Quality Patented Stainless Steel Inox-Radial Heat Exchanger. Class A rated for energy efficiency. Low CO2 emissions for reduced environmental impact. User friendly Backlit LCD Touch screen for easy operation. A much lesser known brand compared to the behemoths above, but known for their combi boiler efficiency and a unique heat exchanger. They talk about what’s called the “Economiser”, which recycles the flue gases for a second time, increasing the energy efficiency further. When used in conjunction with the ATAG One controller, it can achieve efficiency of A+. Compact dimensions (mm) h700 X w440 X d355. A 275 mm (deep) model is available to fit inside kitchen cupboards. Powered by the unique iCon heat exchanger with a lifetime replacement guarantee. Instant hot water with pre-heat facility. Built in Passive Flue Gas Heat Recovery Device. Comes with an outside weather compensator as standard. Achieves ErP ‘A’ rating for heating and hot water. ATAG do not sell on plumbing merchant websites. They sell direct. I don’t think we need to overstate the fact that Worcester Bosch boilers are the highest selling boiler brand in the UK. They’ve made reliable, durable boilers for years now with combi boiler efficiency at the forefront of their product design. The reason they are not higher than number 3 on this list is because the top 2 boilers have stainless steel heat exchangers in them, while Worcester Bosch boilers have a aluminium heat exchanger inside. Stainless steel is more durable, reliable, less prone to corrosion compared to aluminium. Also, Viessmann’s patented design makes it slightly more efficient. But don’t let that deter from the fact that Worcester Bosch still make one of the best boilers in the UK market, and you really can’t go wrong with buying one. Vaillant are one of UK’s most popular and renowned boiler manufacturers, and mainland Europe right behind Viessmann. Talks about the best boiler brands in the UK mostly center around Viessmann vs Worcester-Bosch, with Vaillant thrown into the mix too for good measure. And with good reason. 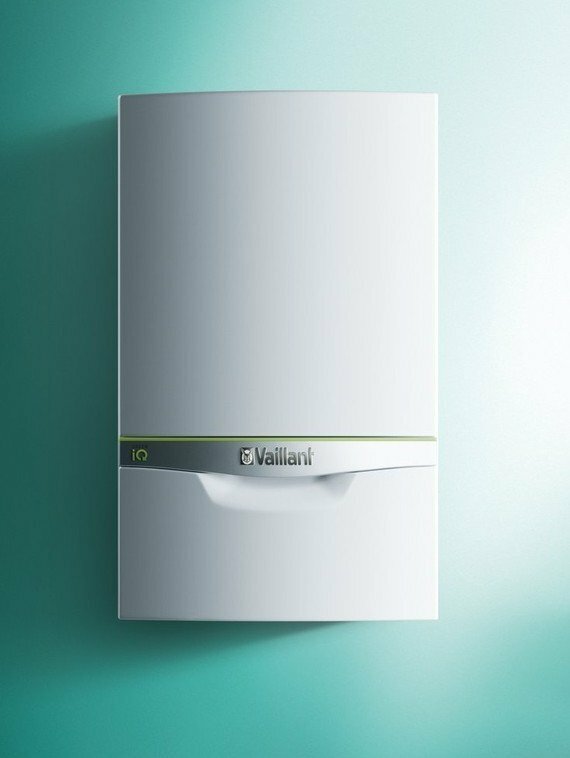 Vaillant have been making quality products for many years now, and you can’t really go wrong with buying a Vaillant as they’re known for combi boiler efficiency. Fully compatible with vSMART heating control. 5-year guarantee as standard, with 7 to 10 years through Vaillant Advance installer. Two combination models covering 35 or 43kW heating output. Hot water flow rate of 17.8 litres per min. Works with LPG where required. Storage Combi Boiler How Much is a New Combi Boiler?